First, it’s important to understand what a reverse mortgage actually is. Answering the Question – What is a Reverse Mortgage? A reverse mortgage is a home equity loan that allows homeowners, age of 62 or over, to access a portion of their home equity and convert it into loan proceeds. A reverse mortgage is usually considered a loan for tax purposes. We recommend you speak to a qualified tax advisor for your specific tax situation. It’s also important to notify us about any special government programs where you have benefits to ensure they are not impacted. With a traditional mortgage you are required to make monthly mortgage payments, but this is not a condition of the terms of a reverse mortgage. 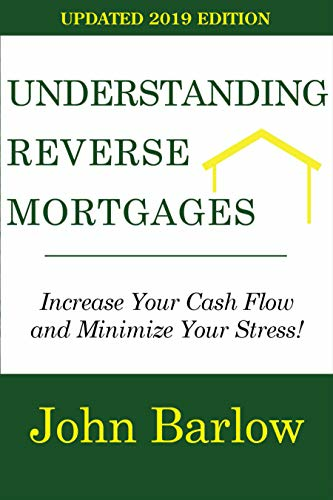 In fact, the first thing a reverse mortgage broker will do is pay off any existing mortgage or lien with your loan proceeds. In addition, they may also be able to provide you with a line of credit to use at your convenience. Throughout the course of your loan, you will still be required to pay your property taxes, homeowner’s insurance, any homeowner’s dues and maintenance costs. Obviously, this can be a life changing opportunity, giving retirees a chance to establish more secure financial footing, or simply improve the quality of their life. Our clients have used their loan proceeds to pay off their existing mortgage, pay down bills and medical expenses, add to their monthly retirement income, make home improvements, and deal with unforeseen expenses. Indeed, a reverse mortgage can provide you with the financial assistance you’re looking for. It’s important to note that you will not give up ownership of your home. When you get a reverse mortgage, you retain the title to your property and it stays in your name. There are also no prepayment penalties, and you can pay off the loan anytime you wish without incurring a penalty. Reverse mortgages are non-recourse loans. This means that if the loan balance is greater than the value of the home when the property is sold, the broker cannot seek to recover the additional loan balance from you, the co-borrower, or the assets of your estate. Repayment of the loan is not required until you or the last surviving borrower sell, move, or pass away. You will still need to remain compliant with the terms of the loan, but as long as you continue to own the home and occupy it as your primary residence, the reverse mortgage does not become due. Remaining complaint includes but is not limited to maintaining the home and keeping current on property taxes, homeowners insurance, and any homeowners dues. Eligibility will require meeting certain basic qualification, although they are not all inclusive. A homeowner with the youngest person on title aged 62 or older and a US citizen or permanent resident. The loan amount will be based on the age of the younger borrower or eligible non-borrowing spouse, the expected interest rate, and the appraised value or maximum claim amount established by FHA. Financial assessment was established to ensure that borrowers had the willingness and capacity to pay their creditors on time, especially property taxes and homeowner’s insurance. FHA established a minim amount of residual income needed per month to be able to pay your bills and they review the credit report, property taxes and homeowner’s insurance payment history, and homeowner’s dues history along with a few other items to make sure you have the best opportunity to be successful in your home with a reverse mortgage.